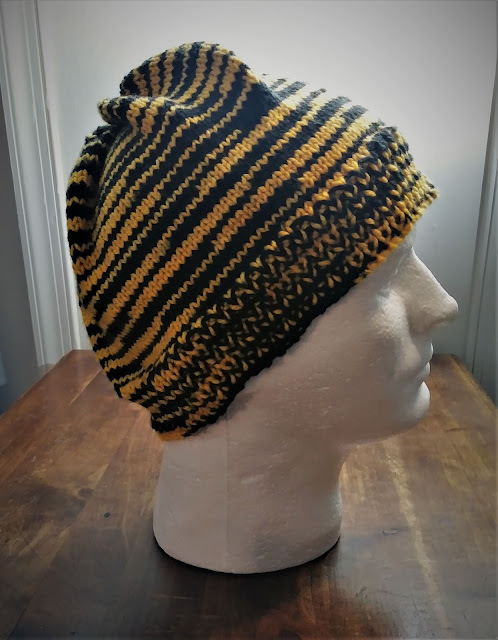 While the first snow of 2019 falls, I'm playing catch up with showing you some of my Christmas knits. 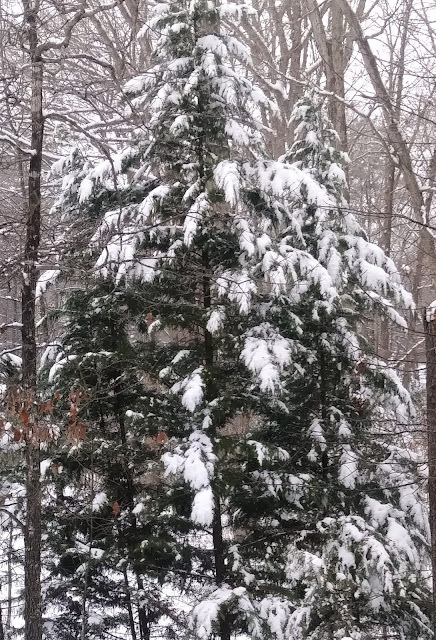 Please forgive the photo quality. I was hastily snapping photos in bad lighting at 4 a.m. moments before cramming the gifts into their wrappings. I knit my sister a Hitchhiker. I used Knit Pick's Laurelhurst Hawthorne. My sister lives a pretty busy lifestyle full of dogs and grandkids so I thought washable wool was called for. I have to admit, I had a hard time parting with this one. I came dangerously close to keeping it for myself. 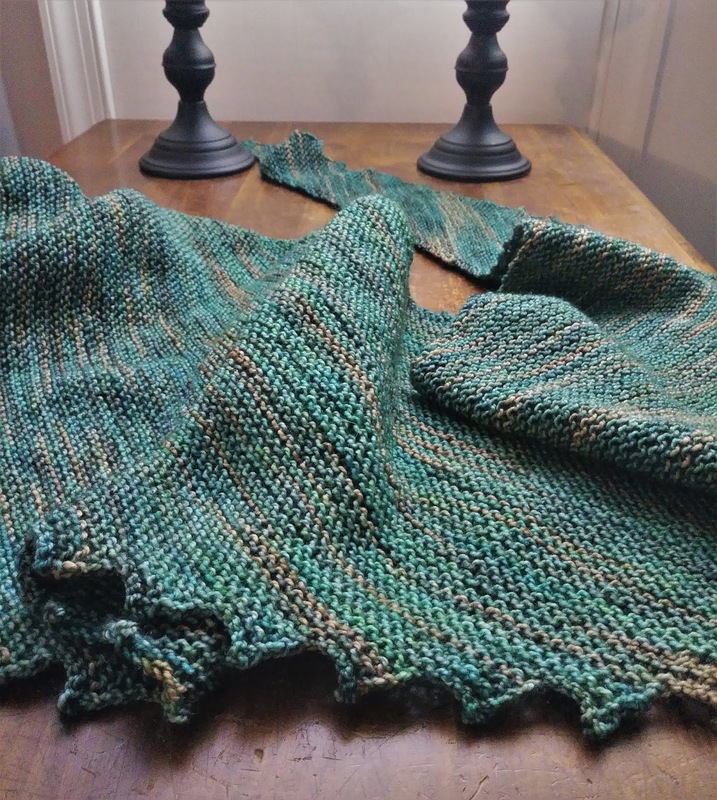 I just love the 'pond scum' greens and browns in the yarn. And a VCU hat for my brother in law. The hat turned out hideously bright, but it's VCU black and yellow so.... 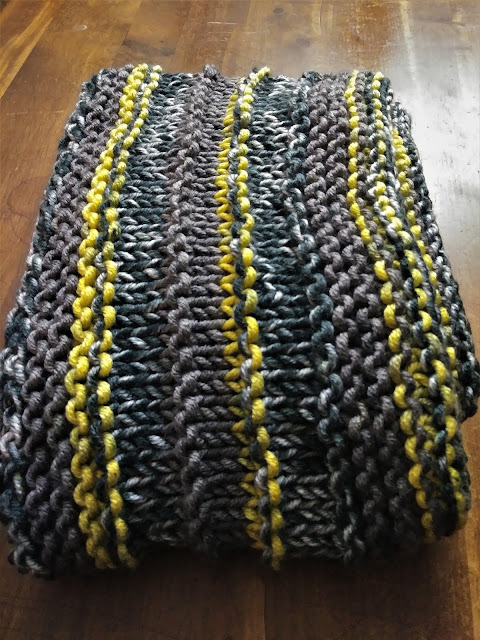 The yarn for the hat and cowl came from my new local yarn shop, Center of the Yarniverse. And F-bombs for the supervisors at work. 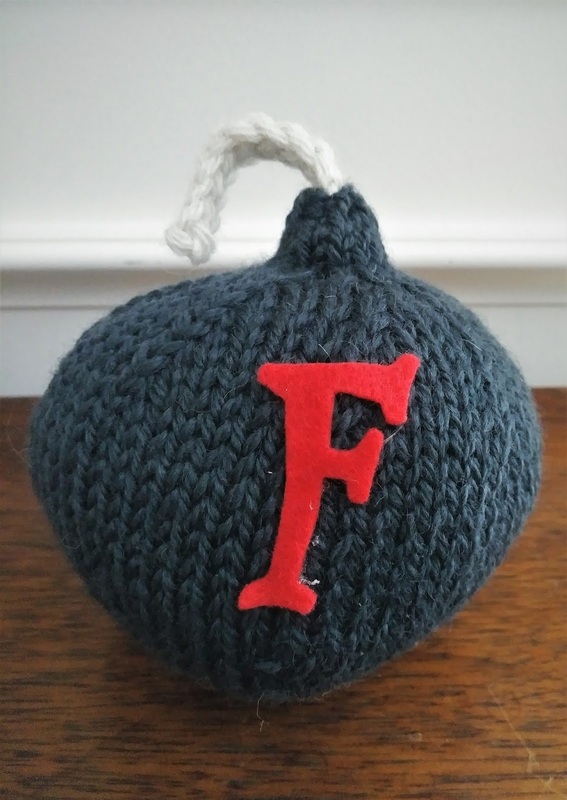 The F-bomb project idea started off as me knitting one as a joke for a friend, then it sort of snowballed into all nine supervisors in my department getting one. I was a little hesitant about giving them but they seemed to go over well. I was a little surprised when several of the supervisors immediately sent pictures of the F-bombs to their mothers. Thankfully the moms thought they were funny too. There's just something magical about the way snow hangs on the cedar's branches. Lovely gifts; lucky recipients. And those F-bombs? The BOMB! What a gorgeous Hitchhiker! And the F-Bombs - Perfect!!! Love them. Those F bombs are just too funny!!! Love all the things but especially the VCU things!